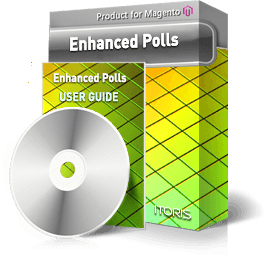 Improve the default Magento polls and show survey data results using the Enhanced Polls extension for Magento. Use different types of animated diagrams, add question colors automatically or manually and have access customer insight for your items and services. Add surveys and questioners with animated results to your pages using 3 diagram templates. All of the polls are submitted via AJAX. Choose colors for your polls automatically or use hexidecimal color codes for custom colors.